Not all sparkling wine is Champagne or Prosecco. While those are two of the most famous and popular sparklers right now, there are literally hundreds of different types of fizzy wines produced around the world from many types of grapes and in many styles. Almost every wine producing region produces some type of fizzy wine. Here is a brief introduction to various other types of bubbly wine from around the world. Domestic Sparkling Wine - The sparklers produced in the US, particular in California have gotten better and better. While there is a lot of poor, cheap stuff out there, there are many excellent producers making wines in the traditional Champagne method. Their style and flavor varies but tend to be a bit more ripe than most Champagne. 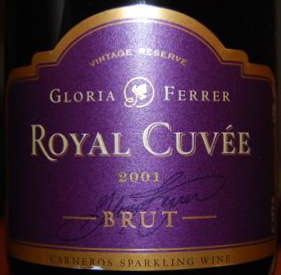 The Royal Cuvée from Gloria Ferrer, pictured above, is an excellent example. Cava - Cava is a bubbly produced in Spain. You can find it more and more in markets and wine shops and are an excellent Champagne alternative. They tend to be quite cheap and the best, such as Cristallino, are quite good. They are generally made in the Champagne style so these are fully bubbly, rich wines. Sekt - Sekt is the name for a bubbly wine produced in Germany. In the past, most Sekt were quite insipid but some good examples have started to be made. 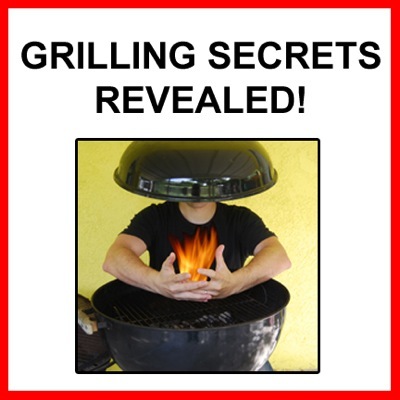 They tend to be high in acid with a tangy acidity and minerality. Moscato d'Asti - Moscato d'Asti is a lightly fizzy wine traditionally made in Northern Italy. This generally only slightly fizzy and they also tend to be a bit sweet. They make nice aperitifs or even a refreshing closer to a meal with light, fruity desserts. We don't mean to sound sexist but many women go ape over slightly sweet sparkling wines like this! Sparkling Red Wines - No, not all sparkling red wines are like Riunite, the most famous and one of the worst examples. The best examples of Lambrusco, Brachetto and others can be charming, fun and great with food. Regional Sparkling Wines (Frizzante, Spumante, Petillant, Crémant) - As mentioned above, just about every wine producing region in Europe makes some style of sparkly wine. In Italy these are often called Frizzante or Spumante whereas in France they are called Petillant or Crémant. Generally Frizzante and Petillant refer to the ones that have less pressure, less sparkle, similar to most Prosecco. Spumante and Crémant are reserved for those with higher pressure, more intense bubbles, like most Champagne. There are too many examples to name but some examples include Crémant de Loire, usually from Chenin Blanc in France's Loire Valley. Vouvray Petillant can be lovely. 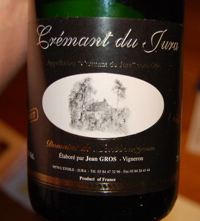 Crémant de Jura is more rare but also delicous. Not surprisingly, since two of the same grapes grown in Champagne, Pinot Noir and Chardonnay, are also grown widely in Burgundy, you also see many sparkling Burgundy wines, generally called Crémant de Bourgogne. Some are a blend of the two grapes while others can be exclusively Chardonnay (called a Blanc de Blancs) or exclusively Pinot Noir (called a Blanc de Noirs). 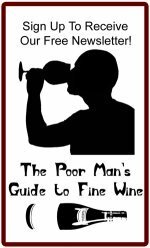 Done with the Sparkling Wine page?